The Open Group Summit Amsterdam, held at the historic Hotel Krasnapolsky, began on Monday, May 12 by highlighting how the industry is moving further towards Boundaryless Information Flow™. After the successful introduction of The Open Group Healthcare Forum in San Francisco, the Governing Board is now considering other vertical Forums such as the airline industry and utilities sector. The morning plenary began with a welcome from Steve Nunn, COO of The Open Group and CEO of the Association of Enterprise Architects (AEA). He mentioned that Amsterdam has a special place in his heart because of the remembrance of the 2001 event also held in Amsterdam, just one month after the 9/11 attacks which shocked the world. Today, with almost 300 registrations and people from 29 different countries, The Open Group is still appealing to a wide range of nationalities. Allen Brown, President and CEO of The Open Group, took the audience on a journey as he described the transformation process that The Open Group has been on over the last thirty years from its inception in 1984. 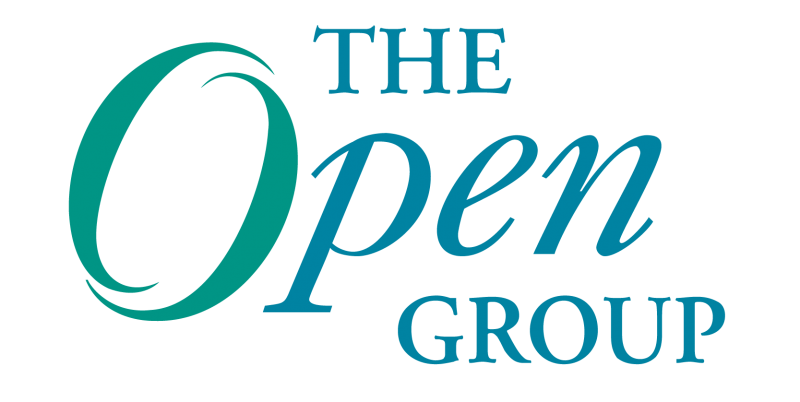 After a radically financial reorganization and raising new working capital, The Open Group is flourishing more than ever and is in good financial health. It is amazing that 40 percent of the staff of 1984 is still working for The Open Group. What is the secret? You should have the right people in the boat with shared values and commitment. “In 2014, The Open Group runs a business, but stays a not-for-profit organization, a consortium”, Brown emphasized. “Enterprise Architecture is not a commercial vehicle or a ‘trendy’ topic. The Open Group always has a positive attitude and will never criticize other organizations. Our certification programs are a differentiator compared to other organizations. We collaborate with other consortia and standard bodies like ISO and ITIL”, Brown said. Now the world is much more complex. Technology risk is increasing. A common language based on common standards is needed more than ever. TOGAF®, an Open Group standard, was in its infancy in 1998 and now it is the common standard for Enterprise Architects all over the world. In 1984, the UNIX® platform was the first platform of The Open Group. The Open Group Open Platform 3.0™, launched last year, focuses on new and emerging technology trends like mobility, big data, cloud computing and the Internet of Things converging with each other and leading to new business models and system designs. “The Open Group is all about building relationships and networking”, Brown concluded. Leonardo Ramirez, CEO of ARCA SG and Chair of AEA Colombia, talked about the role of interoperability and Enterprise Architecture in Latin America. Colombia is now a safe country and has the strongest economy in the region. In 2011 Colombia promoted the electronic government and TOGAF was selected as the best choice for Enterprise Architecture. Ramirez is determined to stimulate social economic development projects in Latin America with the help of Enterprise Architecture. There is a law in Colombia (Regulation Law 1712, 2014) that says that every citizen has the right to access all the public information without boundaries. Dr. Jonas Ridderstråle, Chairman, Mgruppen and Visiting Professor, Ashridge (UK) and IE Business Schools (Spain), said in his keynote speech, “Womenomics rules, the big winners of the personal freedom movement will be women. Women are far more risk averse. What would have happened with Lehman Brothers if it was managed by women? ‘Lehman Sisters’ probably had the potential to survive. Now women can spend 80 percent of their time on other things than just raising kids.” Ridderstråle continued to discuss life-changing and game-changing events throughout his presentation. He noted that The Open Group Open Platform 3.0 for instance is a good example of a successful reinvention. “Towards a European Interoperability Architecture” was the title of one of the afternoon sessions led by Mr. R. Abril Jimenez. Analysis during the first phase of the European Interoperability Strategy (EIS) found that, at conceptual level, architecture guidelines were missing or inadequate. In particular, there are no architectural guidelines for cross-border interoperability of building blocks. Concrete, reusable interoperability guidelines and rules and principles on standards and architecture are also lacking. Based on the results achieved and direction set in the previous phases of the action, the EIA project has moved into a more practical phase that consists of two main parts: Conceptual Reference Architecture and Cartography. Other tracks featured Healthcare, Professional Development and Dependability through Assuredness™. The evening concluded with a lively networking reception in the hotel’s Winter Garden ballroom.